Hi, I’m Victoria. My foster mommy is just heartbroken that she can’t keep me, but unfortunately her other cat just isn’t adjusting with me around. 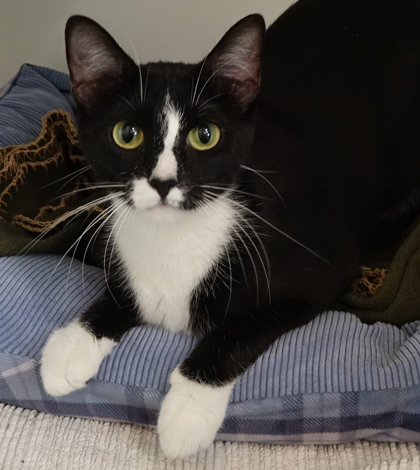 I’m a gorgeous, petite one-year-old kitty who is very affectionate and wants to be the center of attention. I’m great with kids and dogs and I’m used to an active household. I’m ready to be the new queen of your home. Please come meet me. I know you’ll fall in love! Visit Victoria at the Helping Strays shelter. Visit http://helpingstrays.org/pets/2018319f/victoria for more information on this gorgeous kitty.